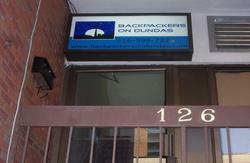 Owned and managed by travellers, we designed the cheapest accommodation in Toronto to provide backpackers with the best stay in the greatest city in the world! Enjoy a friendly, fun and intimate atmosphere for young travellers, hopefully making you feel at home. 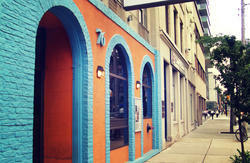 The best located hostel in Toronto, we are in the heart of the entertainment district with a stunning view of the CN tower to boot. We offer free linens and towels; no curfew; a sensible drinking policy; 24-hour reception, with a friendly multi-lingual staff to help make you feel at ease. Taxes not included - Taxes not included - Hotel and provincial tax is 13%. This will be added to your total bill and will be charged upon check in. Take the 192 Airport Rocket shuttle bus to Kipling subway station (the last stop on the bus), from here you can only take the subway heading East, transfer at St George station and head south to St Andrews station, exit the subway and walk north on University avenue to Adelaide st, turn left and head to 263 Adelaide St W.
IMPORTANT: We are in a very large, mixed use building. Upon arrival please call the contact number and we will come let you up. Please do not disturb any other residents of the building!!! If you are not able to make a phonecall, please take the elevator up the the 5th floor, exit right and go to the end of the hallway, we are in unit 514. Disregard the unit listing in the front foyer, it is outdated.